Matt: Eddie welcome, to kick us off take us through what you think are to key considerations for Generation Xers looking to build a wealth protection strategy. Eddie: The main big picture consideration is what legacy do you want to leave your family in the event death or disablement and more importantly protecting your cash flow for the long term. Matt: We touched on last week the main components of a wealth protection strategy. For those that may have missed last week, can you give us a quick recap on what the various components are? Eddie: There’s really four main components. The first being Life Cover which is a lump sum payment to your family in the event that you pass away. The second is Total & Permanent disablement which is a lump sum payment if you are classified as never being able to work again. The third part is Critical Illness cover or Trauma cover, which is a one off payment on being diagnosed with or suffering a critical illness i.e. cancer, heart attack, stroke or bypass surgery (amongst others). And the last one which is probably one of the most important is Income Replacement (protection) which is essentially the ability to have an ongoing monthly payment to cover living expenses, mortgage payments, education fees, general overheads if you can’t work due to an illness or an injury. Matt: Tell us more about income replacement cover, in particularly what is the difference between income replacement cover held completely inside of superannuation versus income replacement cover held wholly or partially outside of superannuation. Eddie: The key component with any income protection policies is the definitions to those contracts. There are probably a few hundred policies on the market from your typical retail based policy (more comprehensive), through to industry super fund cover and direct insurance (less comprehensive) and the majority of those will all have differing definitions when it comes to what you can claim on and what you can’t claim on. The major issue with income protection inside of super is that the definition is quite restrictive. And it’s what we would classify as a “duties based” definition – so essentially this means you need to be unable to perform one, or more, or all of your occupational duties and not be engaged in any work for wages or profit. The problem we find with that definition is that for a lot of people who are office based, they may be able to technically do all their occupational duties but at potentially only two days per week. Working two days per week could mean that you are still actively employed/engaged in work, which means that benefit may not pay. Matt: How does that differ Eddie to income replacement outside of superannuation? 2) the second part of that definition means that you can still work up to 10 hours per week and whatever you earn in those 10 hours is paid on top of that 75% benefit. Those earnings are not offset against your monthly insured benefit. 3) The third part of that definition is an income based definition, which means that if you are unable to earn 100% of your income, let’s say it falls to 50%, the policy will top you up by 25% back up to the 75% level of income. With the market leading definitions though, you only have to satisfy one of those definitions to claim…not all three…and not a combination of. Therefore the avenue to claim is a lot clearer, and it allows you to still do some form of work as opposed to not being able to work at all. Matt: As we know Income Protection is tax deductible if held personally. What are the other options if clients didn’t want to hold this personally and fund this personally…is there an opportunity for a “hybrid”? Eddie: There is – one of the things that has come out of some of the insurance providers over the past couple of years is that you can now own and fund your income protection via a combination of both superannuation and partly self owned. The way that works is that the policy is mostly funded by your superannuation balance, or the contributions that go into super and a portion of it is held in your own name which you pay the premiums for, which is also tax deductible. The combination, which is technically called “flexi-linking” means that approx. 70% of the cost is funded through super, 30% of the cost is funded by the persons own cash flow. But importantly it provides you with the market leading definitions with the so called “3 Tier” definitions. Matt: A lot of people reading this will either have Industry super fund or Employer based super funds, are those rules available with Industry super fund income protection? Eddie: No they’re not. they are only available if it’s linked to a retail market contract. Matt: And how is that done these days? Eddie: This is done via what’s called an Enduring Rollover, which essentially means that you can hold your wealth protection insurance via any market leading retail contract on the market and the premiums can be funded via your superannuation through a process called an Enduring Rollover. The beauty of this is that you can still keep your super fund as it is, if that is the most appropriate for you, but also link the most appropriate insurance contract, to be paid via a rollover that occurs once per year. And it comes out of your existing super fund. This hasn’t always been the case. Up until about two years ago if your superannuation was with one provider, your insurance tended to also be with the same provider. Now you can mix it and get the optimal balance. Matt: Talk to us about definitions. Eddie: The devil is in the detail. The definitions around income protection and trauma cover are probably the most important when it comes to owning and insurance contract. This is because unless you meet those specific definitions, then the insurer is unlikely to pay. With trauma policies, all insurers will cover around 35 medical conditions. 85% of all claims are around cancer, heart attack, stroke and by pass surgery. Therefore, one of the areas that we concentrate the most on are those four definitions. The major differences between good and bad definitions we tend to find when reviewing clients existing cover, are the definitions regarding; heart attack, melanomas, breast cancer and prostate cancer. Without getting too technical, the better contracts tend to pay a full benefit on diagnosis of these things. The older style contracts will typically require the illness to be more advanced and have the need for more invasive style therapies before they will actually pay out. Matt: When you are putting together wealth protection strategies for our clients, how do you go about figuring out how much is enough and what combination of cover that clients require? Eddie: Part of our role is to recommend what clients should have to adequately protect them and their family – or the ideal level of cover that is required. Part of our process is that we get the clients involved in what they would like to cover, until we get to a point that both the clients as well as us as advisers are happy. The major thing to consider is that most people will want to cover their mortgage and any other debt. The second major consideration – which can bring very different views between a husband and a wife – is the legacy they would like to leave their family. Do they want to have their kids education covered? How much? Do they want to leave additional funding to cover loss of future income so the remaining spouse can either work part time, or not have to work at all? That is a discussion that usually occurs between both clients and us as advisers until we get to an optimum point that both clients are happy to proceed with. Matt: With the four main areas of wealth protection you mentioned before, are some components “musts” compared to others? Or should clients typically have a combination of all four types of cover? Eddie: Where cost is not an issue, you would take a combination of all the four policies available as they all interlink with either other. Obviously with anything there is a cost involved, so it is a process of looking at the ideal level of cover, and then scaling back on either the amount of cover or the type of cover until you get to a point that you are happy with. Probably the most important types of cover in order would be Income Protection, Life Cover, Trauma cover and then followed by Total & Permanent disablement. Matt: What are Stepped and Level premiums? Why is this important…and what would we typically recommend for our clients? Eddie: This is a conversation we have with every client. Essentially the insurer will allow you to pay your premiums in two different ways – either Stepped premiums or Level premiums. Stepped premiums, tend to be cheaper in the first seven to eight years. However they do tend to go up sharply over time and they are re-priced each year based on your age as well as inflation increases. Level premiums on the other hand start off more expensive but are locked in at the age that you apply. In general those premiums will only increase in line with inflation every year. The beauty of the level premium is that over the long term those premiums remain affordable which means that most clients can continue to hold their cover throughout the period of life when they are most likely to need it. Stepped premiums on the other hand will get to a point where they become too expensive for the client and may need to cancel the cover at a point when they need it. Or they will be forced to reduce the cover and actually be under insured. In terms of our preference we use both. For Life & Disablement cover we use stepped premiums because as you move on in life you pay down debts and your kids get older and less dependent, so you may need less of that cover. For Income Replacement and Trauma cover, if the contracts selected are market leading at the time that you apply, there should be minimal need to look at changing those policies. These premiums we set to Level, purely because these are the sorts of policies you’ll need as you get older and cost will remain affordable. Matt: Before we wrap up, last week I asked everyone to at least review what they had in place. For those reading this who realised that what they have in place may not be appropriate to cover their needs, or for anyone who would like assistance, what would be the steps in working with us in developing a wealth protection strategy? Eddie: The next step would essentially be to contact us at The Practice and we would be more than happy to assist. We’d arrange an initial discussion and ask you to come in with details of your wealth protection cover within superannuation and any additional wealth protection insurance you have in place. Part of our role will be to review those…check the contract definitions…check the premiums…then do an analysis for you and come back to you with recommendations on what is appropriate. If the cover you have in place is appropriate we will tell you. If there is a better contract on the market we will make you aware of this as part of our recommendations. Then you can make an informed decision on whether or not you are happy to proceed with these recommendations. Additionally we would work with you to review your cover yearly to ensure your wealth protection strategy remains appropriate over time. Matt: Eddie Scalpelli, thanks for joining us and sharing your wealth of knowledge. 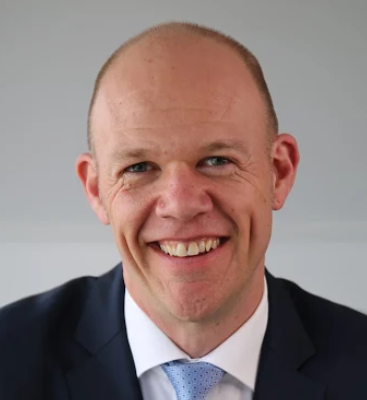 Matthew Morrison is the Director of Wealth Advisory at The Practice, a Personal Wealth Advisory & Business Advisory firm based in Parkville, Melbourne. Eddie Scalpelli is the Senior Wealth Protection Specialist at The Practice. Matt & Eddie, along with The Practice team are committed to and passionate about developing & implementing wealth creation & wealth protection strategies for clients to enable them to Fuel their Family’s Future – while protecting them along the journey. Matt, Eddie and The Practice team can be contacted via http://thepractice.com.au or (03) 8888 4000. Matt & Eddie – Great read, thanks for sharing your expertise.